Two breathtaking, 2-person shows crammed into one super show! 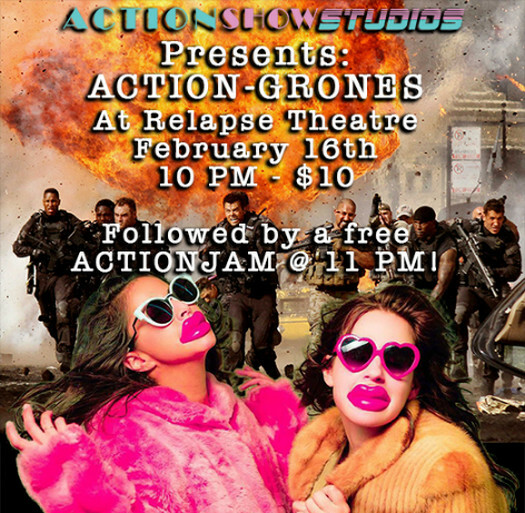 Action Show (Syl Turner and Josh Warren), a completely action packed, 4D experience that will make you sweat Don Johnson, is pairing with Bilgrones (Jessica Bilgrad and Julia Jones), Atlanta's premiere female improv duo! And their doing it BFF style! Come see this live and in-your-face mashup of comedy styles that will make you die laughing!